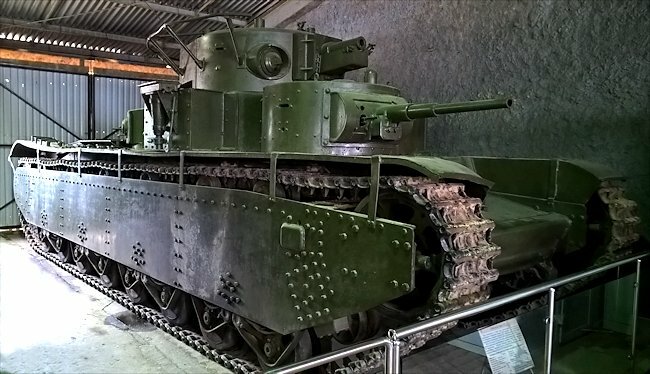 This Soviet T-35 Heavy tank is the only preserved survivor of WW2 and is housed at the Kubinka Tank Museum just outside Moscow, Russia. It was not used operationally in the Winter War of 1938 or in the defense of Russia when the Germans attacked in 1941. It was used for tank crew training at the Kazan Tank School from 1938. The Soviet T-35 heavy tank's importance has been totally obscured by popularity of the T34/76 and KV-1 tanks. It weighed 35 tonnes and was powered by a 12 cylinder 45 litre Mikulin M17 500bhp engine. It had a top road speed of only 30 km/h (18.6mph) which went down to 20 km/h (13mph) across country. The T-35 tank's main armament was a 76.2mm M27/32 gun in the top turret and it had two 45mm 20K HV guns plus six DT 7.62mm machine guns. One 45mm gun was fitted to its right hand forward front turret with a coaxial machinegun and another was fitted to the rear left hand side turret. The front left turret was fitted with a DT 7.6mm machinegun and the rear right hand side turret was also fitted with the same machinegun. This arrangement provided for an all-round field of fire. It needed tank crew of 11 to man the vehicle. Its protective amour ranged from 11 mm to 30 mm. Records show that only 61 T-35 tanks were produced. The T-35 tank's main armament was a 76.2mm M27/32 gun and had two 45mm 20K HV guns, one at the front and one at the rear. Most T-35 tanks were lost fighting the Germans in 1941. Not all of these loses were due to enemy action. Mechanical breakdowns were very common because of poor maintenance and lack of spares. Many of the T-35 tanks had to be destroyed by their crews to prevent them falling into the hands of the advancing German Army. 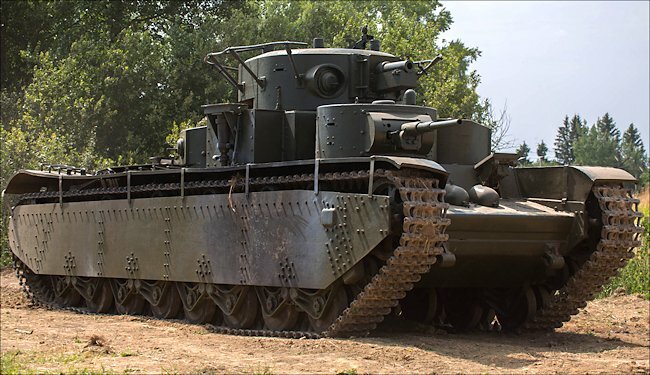 The T-35 tank was never used in combat prior to June 1941 invasion. It was not used in the 1939 Winter War with Finland. 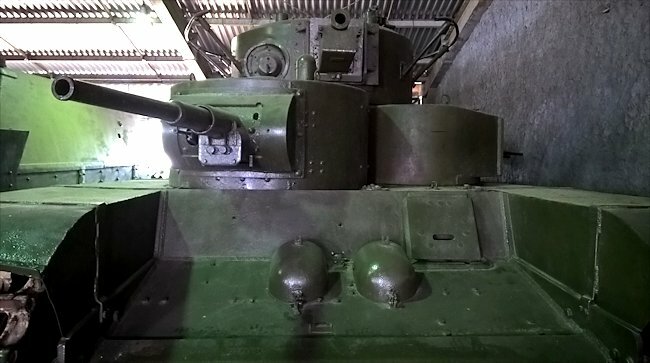 As of 1st June 1941 there were 59 T-35 tanks listed in the Red Army: 9 of them were in the need of repairs so only 51 were available for operational deployment. They were issued to the 8th Mechanized Corps (34th Tank Division), and the rest in various Military Tank Schools where they were used to train tank drivers and gunners. The Soviet high Command realised that the T-35 had now come to the end of its useful life as a combat vehicle. By 1942 it was obsolete. Soviet Army officers had visited Britain in the late 1920s. They were impressed with a number of tank designs produced by Vickers including the prototype multi turreted A1E1 independent heavy tank. 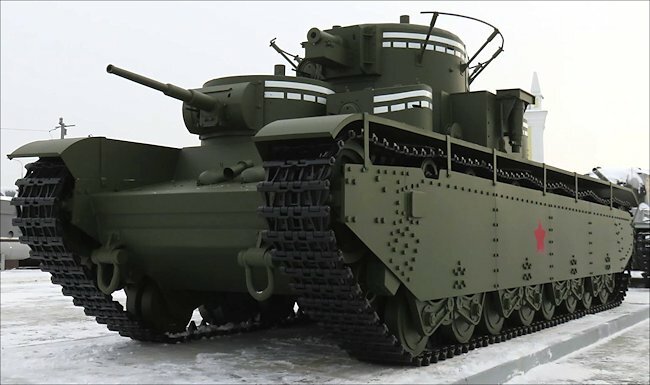 Features of this tank design were used in the development of the T-28 medium tank and later the T-35 heavy tank. The Russian tank designers kept many elements of the two new tanks similar to assist in production. The T-35 had the same engine, transmission, main turret and secondary turrets as used on the T-28. The suspension, road wheels and bogies were different. The changes were needed to cope with the weight of the additional armour and larger guns. The armour plate on the hull front was 30 mm thick. 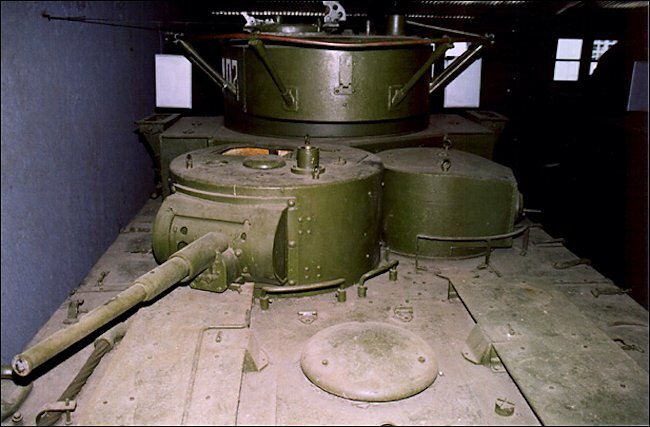 The curved turret armour was 20 mm thick. The side armour of the T-35 was 20mm thick but sections were also protected by the 10 mm side skirts. In 1936 the front armour was increased to 50mm. In the 1920s and early 1930s the British and Russians believed in the same 'Land Battleship' concept as applied to tanks on the battlefield. Large heavily armed multi turreted slower tanks, like the T-35 and T-28 would go into battle surrounded by more nimble light tanks for support. This mirrored the role of the large dreadnought battle ships at sea and the smaller frigates and cruisers. The T-35 (chassis number 0197-7) on display at a historic military vehicle event in Russia. By June 1940 the T-35 tank was considered obsolete and was going to be sent to Military Tank Schools but events overtook this decision. The German invasion of Russia as part of Operation Barbarossa saw the 51 tanks being put into the front line. The majority were lost. Most suffered mechanical failures or had to be abandoned for lack of supplies like fuel and ammunition. Six T-35 tanks were lost in actual combat plus one more MIA missing in action. One of the reasons only 61 T-35 tanks were made was cost. Soviet industry could produce nine BT tanks for the same price as building one T-35 giant. They were produced between 1933 and 1938 at the Kharkov Locomotive Factory in the Ukraine. 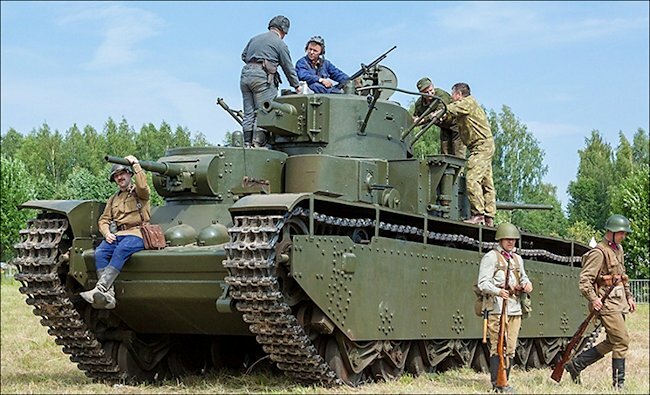 The T-35 tank kept in Kubinka was made in 1935. 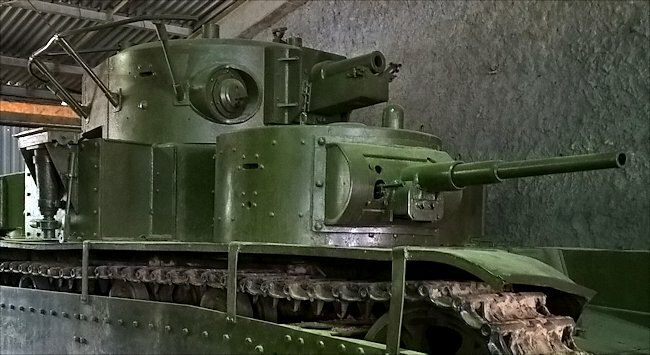 Where can I find preserved T-35 tanks?